Sometimes finding a Map of Manhattan NY is not as easy as you think. To really find your way around New York City, you need a subway map, street map, tourist attraction map and more. Online maps can be challenging – scroll in once, and you can see 4 city blocks, scroll out once and you are looking at all of Manhattan, Brooklyn, Queens and New Jersey. 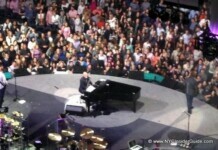 NYC Insider Guide to the rescue!!! Here are dozens of free printable detailed maps of Manhattan NYC, including New York City street maps, NYC subway maps and Manhattan neighborhood maps. Check our New York City Street Map and Subway Map of New York. 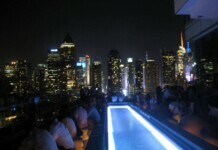 Our Map of Manhattan NY includes the top picks and ways to get around by your very own NYC Insider. Use the Free Maps, Pocket Maps, Online Maps and HopStop Maps to get around New York City. The subway is the easiest and fastest way to get around Manhattan and is very safe. Check our NYC Subway Map and learn how to get a Metrocard, get directions and use the subway. A good, Detailed Map of Manhattan online can be a challenge to find. 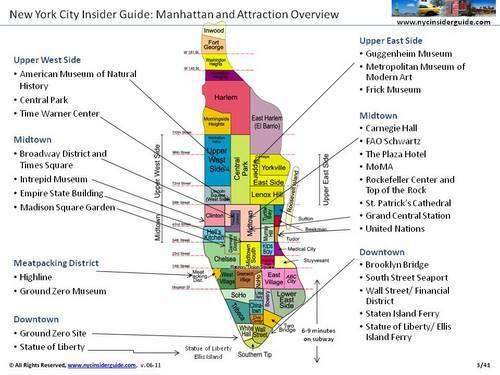 So the NYC Insider Guide created one that includes NYC Manhattan Street Maps and Manhattan neighborhood maps. Are you looking for a good New York City Tourist Map? 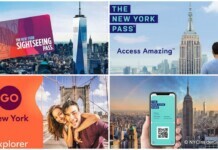 The NYC Insider Guide has several NYC Tourist Maps that include New York City tourist attractions, New York City neighborhoods and NYC Subway Maps. 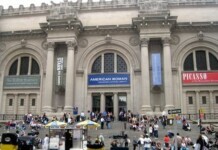 Get a Free NYC Map with Manhattan Weekly! Subscribe to our FREE New York City Newsletter and get a FREE Map of Manhattan NY. Manhattan Weekly brings you the latest on everything you need to plan and experience New York City like a native New Yorker. Woud you rather have your Map of Manhattan NY included with your guide? There are hundreds of NYC Tourism Guides, ranging from general to highly specialized; architecture, history, movies, walking tours, culture, kids, a specific neighborhood, vegetarian, antiquing, shopping, beauty, pet-friendly…and dozens more. I went to my local bookstore and read through at least 20 of them. 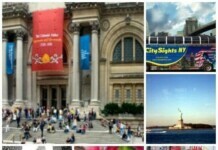 Here are my top picks for New York City Travel and Tourism Guides. This Manhattan neighborhood map shows you the heart and soul of New York City…the places where New Yorkers live, eat, work and breathe, and the reason we all love living in New York City. 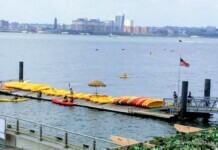 Every Manhattan neighborhood has a different vibe to it, with different shops, restaurants, cafés and attractions. These neighborhoods are almost all a 20-30 walk within (no stopping), but it might surprise you how easy it is to identify the character of each Manhattan neighborhood as you visit them – and how different things are from one block to the next. Roll your mouse over the Manhattan neighborhood map and click each neighborhood to learn about the best things to do and see, places to eat and shops to visit during your NYC vacation. These links are to local neighborhood organizations, mostly non-profit entities, each aspiring to improve their business district. Many of these street maps of Manhattan promote local businesses, provide discounts and coupons and neighborhood history, as well as manhattan neighborhood maps. Our New York City Printable Guide includes many of these maps, formatted and ready to print, in our Bonus Guide! Each street map of Manhattan NY below are from various commerce and tourist websites and cover various areas of Manhattan. While some retail and businesses may be outdated, the streets of Manhattan rarely change. Each of these NYC maps is free and printable. Our New York City Printable Guide includes many of these maps, formatted and ready to print, in our Bonus Guide!